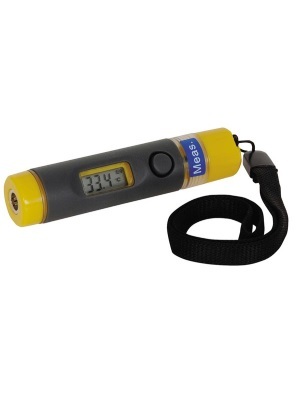 This non-contact infrared thermometer can measure from -33 to 220oC, making it ideal for measuring the surface temperature of your solar panels or checking for thermal leaks in your home. Emissivity of the meter is fixed at 0.95. Emissivity is a term used to describe the energy emitting characteristics of materials. It is supplied with LR44 x 2 batteries.